Bernardsville Library - Bosenberg & Co. 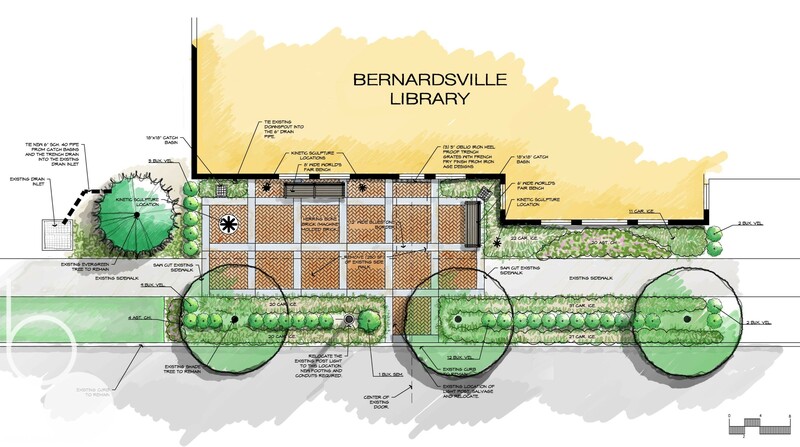 The library desired an outdoor area adjacent to the children’s section of the library which would be more inviting and provide more visual stimuli. Low plantings were proposed along the drive to act as a physical buffer. 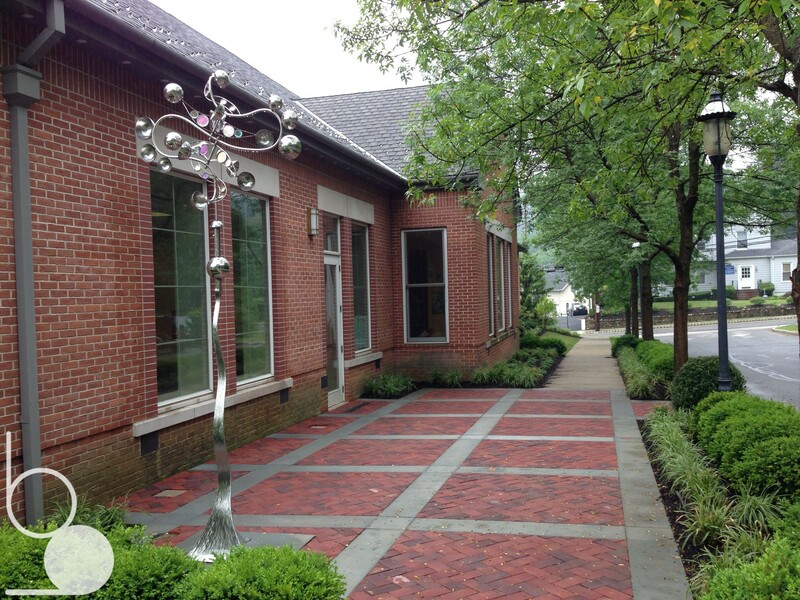 The existing paving was enhanced with natural brick pavers, bluestone accents and seating. 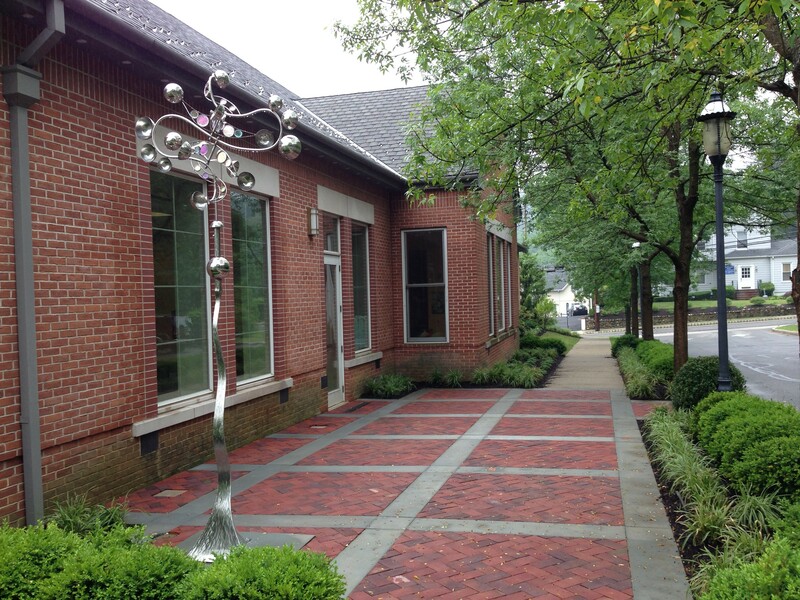 Two kinetic sculptures were added to the space creating visual interest.